Moles can drive you nuts! They are a nuisance, they are indiscriminate and able to dig up the most cared for gardens that will eventually become unsightly. If you're like most homeowners, you're probably confused by all of the conflicting "advice" on mole control. You believe every rumour, home remedy or control method is worth trying. In fact, chemicals and home remedies (including castor oil, windmills) are not only ineffective when dealing with moles, they will also allow the animals time to establish and become real problems. Moles are woodland animals in nature, but can quickly colonize and spread through adjacent residential properties if not handled properly. Since they need a well-established tunnel network to survive, the longer they're allowed to tunnel, the more habituated they become and difficult to control. Moles are silver grey to black in colour, around 12-15cm in length and weigh around 70 - 100gms. Their fur lies in either direction so that they can move forwards and backwards through their tunnels with ease. They have sensory hairs on their heads, forefeet and tail, which allows them to pick up information from vibrations in the ground. They have spade like front feet which are used for digging and fully formed eyes that can distinguish light and dark. Their ears are small but their hearing is very good and helps them to find food, sense predators and other moles. Earthworms are the moles main diet but they also eat insect larvae, molluscs and other invertebrates. 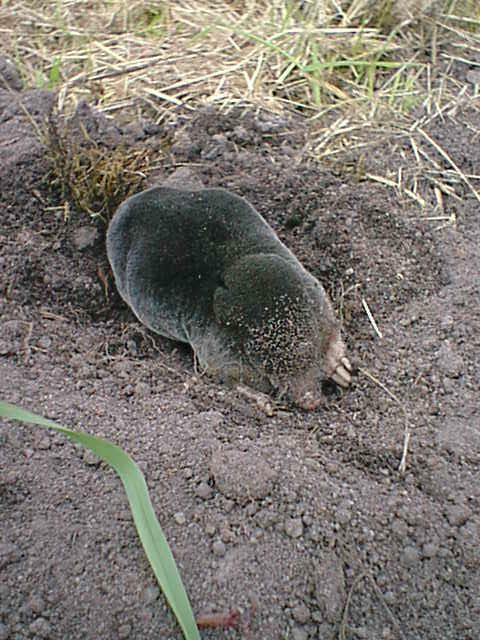 Moles are solitary by nature and live for the most of the time in their tunnel system. Traps - the only method for successfully catching moles, is to trap them using a variety of different traps. Once you have located a mole run, a trap can be placed inside the tunnel, which will trigger the closing mechanism when movement is felt inside the trap. This is the only method we use to control Moles. Moles are notoriously difficult to catch: something which is largely due to their complex underground labyrinth of tunnels. There exists many varying depths of tunnels, some very shallow, almost on the surface, whilst others are quite deep. The moment the mole detects a strange smell or sudden vibration, he retreats at remarkable speed, to the safety of the deeper runs, blocking the tunnel behind him as he goes. Prevention is almost impossible if you have soil in your property, however the control of worms will hinder the appearance of moles.